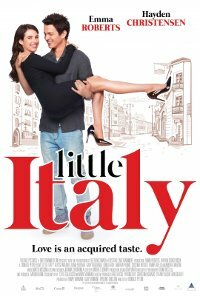 A young couple of Italian heritage must navigate a blossoming romance in New York, amidst a war between their families’ competing pizza restaurants. It needs something on top. Language Frequent strong impact crude language used in casual conversation.